Let’s take a look at Mary in her first encounter with Jesus. We meet her in Bethany, a small town 2 miles east of Jerusalem in Judea. This is a sketch of what Bethany *might* have looked like. Notice how small it is. If you’re keeping track of Jesus’ timeline, we are in the latter part of His ministry in which He has completed His tours in Galilee and has already headed south toward Jerusalem. 38 Now as they went on their way, Jesus entered a village. And a woman named Martha welcomed him into her house. 39 And she had a sister called Mary, who sat at the Lord’s feet and listened to his teaching. 40 But Martha was distracted with much serving. And she went up to him and said, “Lord, do you not care that my sister has left me to serve alone? Tell her then to help me.” 41 But the Lord answered her, “Martha, Martha, you are anxious and troubled about many things, 42 but one thing is necessary. Mary has chosen the good portion, which will not be taken away from her. Normally, the women would be doing exactly what Martha was doing! Martha was plying her trade! She was being hospitable, a GOOD Jewish woman, taking care of her guests. And then there was Mary. Mary who sat at the Lord’s feet WITH THE OTHER MEN and listened to His teaching. Remember, women weren’t considered worthy of receiving the Word of God or instruction in the Scriptures! Jesus defends Mary and says she has chosen the good portion. When I read that, the part about the “good portion”, it made me very curious. What does it really mean? You shall rejoice before the LORD, you and your sons and…the Levite in your towns, since he has no portion or inheritance with you. Jesus had assigned her the right to sit among the men and be His disciple. I kinda wonder if His defense of Mary wasn’t just for Martha but also for every MALE ear listening to the exchange, wondering the same thing as Mary sat among them. Jesus was giving her the opportunity to be a disciple of the Rabbi Jesus. To sit and learn and imitate the Teacher. She could soak in His teaching. Take on His yoke. For the first time in her life, she could learn of God first hand. Now a certain man was ill, Lazarus of Bethany, the village of Mary and her sister Martha. 2 It was Mary who anointed the Lord with ointment and wiped his feet with her hair, whose brother Lazarus was ill. 3 So the sisters sent to him, saying, “Lord, he whom you love is ill.” 4 But when Jesus heard it he said, “This illness does not lead to death. It is for the glory of God, so that the Son of God may be glorified through it. 5 Now Jesus loved Martha and her sister and Lazarus. 6 So, when he heard that Lazarus was ill, he stayed two days longer in the place where he was. Wait, shouldn’t that read when He heard that Lazarus was ill, [HE WENT TO THEM RIGHT AWAY]? My husband Eric likes to play a game when reading Scripture sometimes called “what comes next?” He’ll read part of a passage, usually a Psalm (one that I’m not usually familiar with), and leave off the second half of the verse. He’ll ask me what I think comes next. And most times, I have NO idea. Then he’ll finish the verse, and the train of thought is usually WAY different from what I was thinking it would say. It’s the same for verse 6! You’d think Jesus would go right away to help, seeing that He loved them. But He doesn’t show His love in this way. And there’s a very specific reason – for the glory of God and the Son of God to be glorified. 17 Now when Jesus came, he found that Lazarus had already been in the tomb four days. 18 Bethany was near Jerusalem, about two miles off, 19 and many of the Jews had come to Martha and Mary to console them concerning their brother. 20 So when Martha heard that Jesus was coming, she went and met him, but Mary remained seated in the house. 28 When she had said this, she went and called her sister Mary, saying in private, “The Teacher is here and is calling for you.” 29 And when she heard it, she rose quickly and went to him. 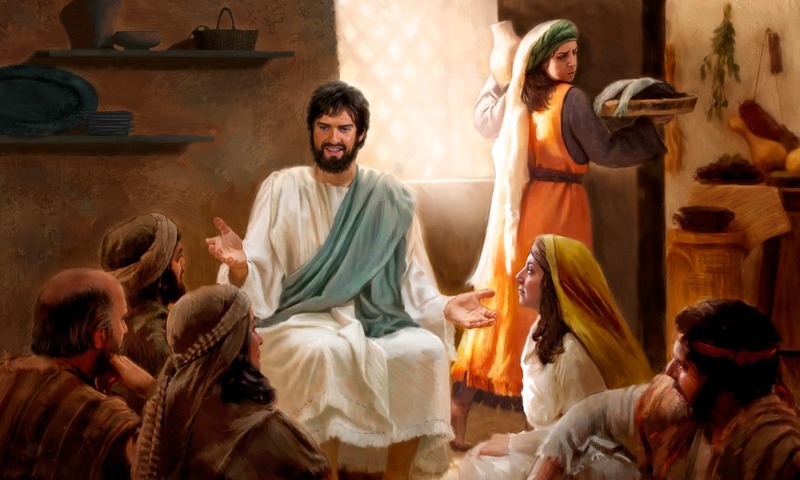 30 Now Jesus had not yet come into the village, but was still in the place where Martha had met him. 31 When the Jewswho were with her in the house, consoling her, saw Mary rise quickly and go out, they followed her, supposing that she was going to the tomb to weep there. 32 Now when Mary came to where Jesus was and saw him, she fell at his feet, saying to him, “Lord, if you had been here, my brother would not have died.” 33 When Jesus saw her weeping, and the Jews who had come with her also weeping, he as deeply moved in his spirit and greatly troubled.34 And he said, “Where have you laid him?” They said to him, “Lord, come and see.” 35 Jesus wept. 36 So the Jews said, “See how he loved him! Jesus, after speaking with Martha, had called for Mary. Did you catch that? The Rabbi called for his disciple. She immediately goes and in her utter grief, falls at His feet, the same ones where she had sat listening to His teaching, and it is here that she cries out to Him. We always seem to find Mary. She’s always at His feet. Sitting there. Rushing there. Falling there. Anointing there. It’s after Mary’s display of grief that we see Jesus’ reaction to their sadness. Death, where is your sting? O yes, I’m coming for you. This phrase meant to cause inward commotion, to take away His calmness of mind, to disquiet, to make restless, to render distressed, and to perplex the mind by suggesting doubts. There was a twisting in His core, producing in Him a distress that took away His peace of mind. And He is racked with tears and His own grief. It’s not that Jesus was unaware of Lazarus’ death, and being caught off guard, He weeps. On the contrary, He knew what would happen, and it was when He saw Mary’s grief, and the Jews’ grief, that He is moved to tears. See how He loved them! After Jesus raises Lazarus, we see that Mary is the one associated with the believing Jews based on v. 45. 45Many of the Jews therefore, who had come with Mary and had seen what he did, believed in him. The final passage of our Mary is the one which John references in the Lazarus story, just one chapter later, about Mary anointing Jesus’ feet in John 12. We didn’t read the Lukan account found in 7:36-50. As we’ve already learned, the story in Luke concerning the “sinful woman” anointing Jesus is not the same account found in Matthew, Mark, and John. Allow me take a brief moment to explain a few facts and dispel a few myths concerning some of the women in the New Testament. This is what I like to call Mary does not = _____. Luke’s account is much earlier in his gospel story, indicating that it happened earlier in Jesus’ ministry. Our account found in the other 3 gospels happens right before His death. The second reason is that the woman in Luke is referred to as a “sinner” and Mary of Bethany seems to have a glowing reputation. Thirdly the message that Jesus gives is completely different in Luke, which is one about forgiveness while Matthew, Mark, and John talk about His burial. There is no reason NOT to believe that there were 2 instances in which Jesus had His head and/or feet anointed. Also to note, Mary of Bethany is not Mary Magdalene. Mary of Bethany is from BETHANY. Mary Magdalene is from MAGDALA. Mary of Bethany is also not the woman caught in adultery in John 8. This woman is anonymous, and Mary is always named as being from Bethany or as Martha’s sister. In other words, NOT ANONYMOUS. Continuing on, we read of Mary anointing her Rabbi’s feet with oil. Six days before the Passover, Jesus therefore came to Bethany,where Lazarus was, whom Jesus had raised from the dead. 2 So they gave a dinner for him there. Martha served, and Lazarus was one of those reclining with him at table. 3 Mary therefore took a pound of expensive ointment made from pure nard, and anointed the feet of Jesus and wiped his feet with her hair. The house was filled with the fragrance of the perfume. 4 But Judas Iscariot, one of his disciples (he who was about to betray him), said, 5 “Why was this ointment not sold for three hundred denarii and given to the poor?” 6 He said this, not because he cared about the poor, but because he was a thief, and having charge of the moneybag he used to help himself to what was put into it. 7 Jesus said, “Leave her alone, so that she may keep itfor the day of my burial. 8 For the poor you always have with you, but you do not always have me. We are now as close to the final week of Jesus’ ministry as we can get. Bethany is very close to Jerusalem (Scripture notes it is only about 2 miles away). The Mount of Olives is nestled in between the two cities. 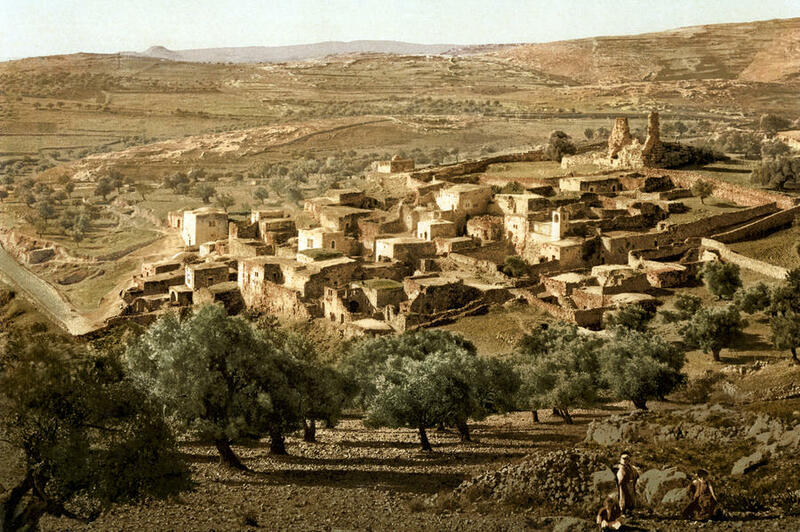 The Garden of Gethsemane is also right outside of Jerusalem in the Kidron Valley. We are only days away from the cross. Now, why this anointing? What reasons did they have for anointing a person? In the Gospels, anointing was associated with healing, the celebration of meals, hospitality, and the burial of Jesus. In the OT the anointing of the head was associated with the consecration of kings and of priests and prophets. The term “messiah” has the literal meaning “anointed one.” So in Mark, when Mary anoints Jesus during the meal, she is portrayed as a prophetic figure, since her act of anointing Jesus’ head alludes to his kingship, which is revealed at His death. She was showing that He is the Messiah, the ANOINTED ONE. Perhaps Mary anointed Jesus out of her love for Him because of what He did for her brother. But Mary? She had learned well. All those moments spent at the feet of Jesus had transformed her view. She had tasted the Word become flesh and it was like the sweetest honey. She had reached out to touch the Scroll of God. The Word of God. She had seen the goodness of God in what He spoke and how He lived, raising her brother from death. Mary anointed Him because that was only fitting for a king about to face His death. Perhaps she knew that even He might raise from the dead, just as He’d raised Lazarus. She understood that true leadership was in service and love to others. Mary modeled this to Jesus as she anointed Him, becoming a servant like her Rabbi. Interestingly, and not by coincidence, what happens next is the Last Supper, in which Jesus Himself, the Rabbi, washes the feet of His own disciples, wiping them with the towel just as Mary wiped Jesus’ feet with her hair. John seemed to indicate that Jesus elevated Mary’s service to Him as He imitated her selfless act of anointing Him. He wanted them to do as He did. To be servants to one another, just as Mary had served Him. She had learned well. Mary of Bethany could say something about herself that many Jewish women could not say at that time. I am a disciple of the Rabbi Jesus. I believe in the Rabbi. He’s not just a Teacher – He is God! He’s the Messiah, the Anointed One! I believe He is the resurrection and the Life, the only way to salvation. I will follow my Rabbi wherever He goes. I will be an exact representation of the Rabbi so that the world may know who He is! She had expressed her faith in the Messiah as she poured out the oil over His feet, proclaiming that He was indeed the King, promised long ago. The oil permeated the room like a poignant message testifying to the truth of the Gospel. Yes, He was going to die, but even more Yes, He is the Promised Messiah come to give them Life. What about you? Can you call yourself a disciple of the Rabbi Jesus? Are you covered in the dust of your Rabbi? A reflection of Jesus to the world. Do you realize the blessing it is that you have been called by Jesus Himself to be His representative? To take on His yoke, to bear His teaching? Mary knew it. And she now speaks to us to live out our faith just as she lived out her’s. To go and make disciples, not to mirror us, but to be a reflection of the Rabbi. To spread His yoke, to pour out the honey, to hold out the scroll. To be covered in the dust of the Rabbi.